With the LA Dodgers leading 2-1 in the NLCS, it’s time to acknowledge one of their secret weapons. He disguises himself as a hockey player during the colder months. His name is Tyler Toffoli. A 30-goal scorer who wants to add a few more to his total – likely story. 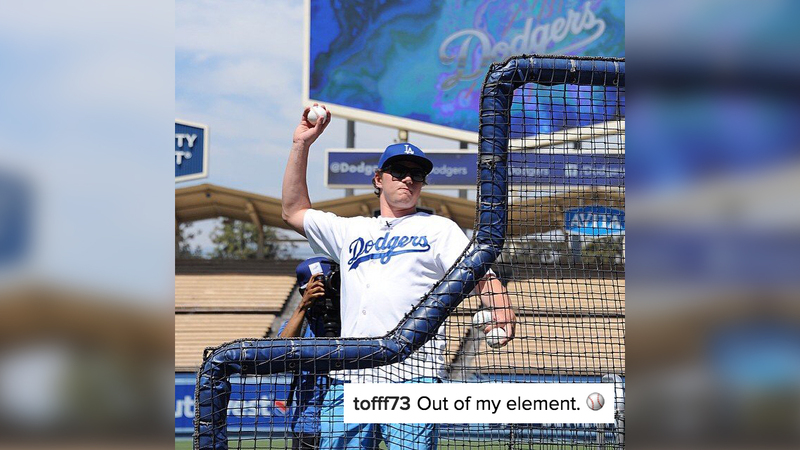 That doesn’t explain why Toffoli seems to also spend every day at Dodger Stadium. Really, he’s there all the time.